Hi Everyone! It's Lisa here and today I am sharing a layout featuring some of the beautiful CottageCutz dies! This is a photo of my younger daughter. 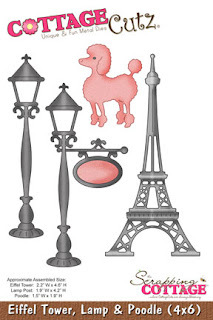 I used the Eiffel Tower die cut form the Eiffel Tower, lamp and poodle ,on this project and cut the bottoms off so the tops were used as hinges on my page. I added the lampost to the frame around daughters photo. I'm a fan of leaves and love to use them on my pages. It's rare that you will find me scrapbooking without leaves and flowers. 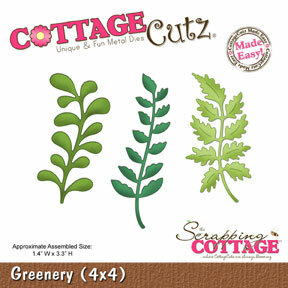 Here I used the Greenery die and cut it out of different colors and used the different leaf designs. 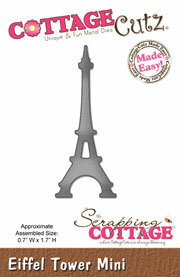 The Eiffel Tower Mini made an appearance on a tag that I tucked into the page. 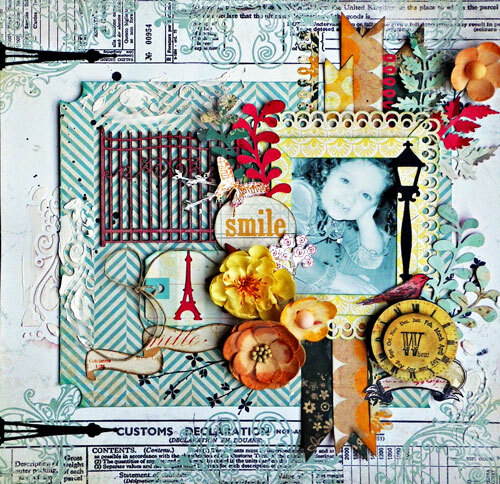 There is lots of texture on this page including molding paste, stamping and some paint splattering. 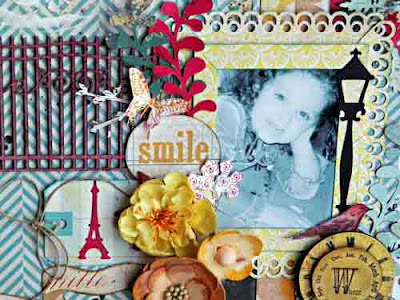 Hope you enjoyed todays project and are inspired to get some of the beautiful dies for yourself! BEAUTIFUL page layout, Lisa! SO CREATIVE! Lisa this is fabulous. I love that Greenery die and use it frequently myself because it has such a nice variety. 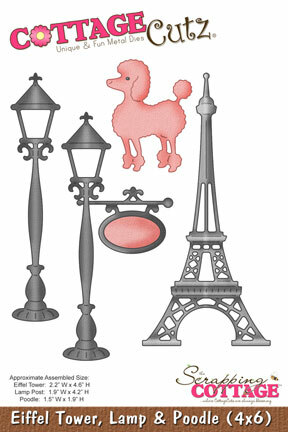 Love how you incorporated those Eiffle Towers in your layout too. This is beautiful. I love all the layers and everything you do with this LO. Absolutely Beautiful Lisa!!!! Love the CottageCutz dies you used!!!! Love it! 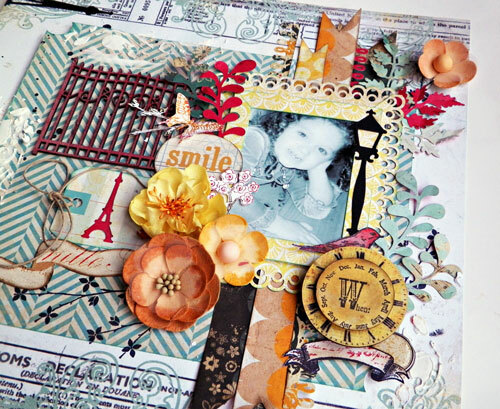 Love the dies you used for this project!